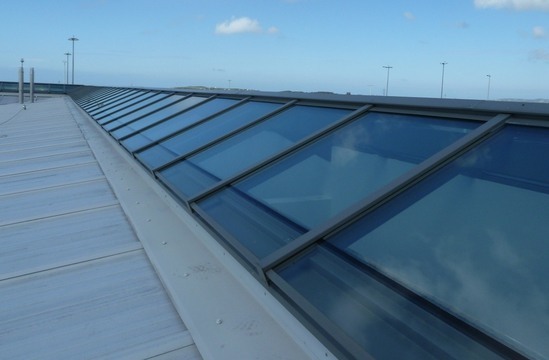 The Skyline Box patent glazing system has a similar appearance to curtain walling and compares favourably in terms of performance and cost effectiveness. 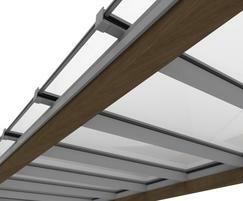 Different depths of box section glazing bars are available depending on the span required, or to provide various internal design effects. The Skyline Box system has been developed to give specifiers an alternative to traditional internal and external stalked glazing bars and the low-profile external aluminium capping offers a smart appearance to the external facade. 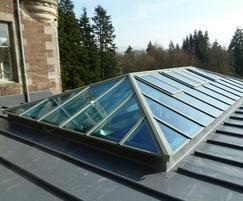 As the majority of the glazing bar resides permanently on the inside of the building, it maintains a higher temperature. 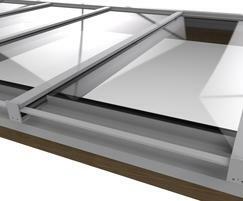 Consequently, this system provides a lower thermal transmittance than an external stalked glazing bar where a wider surface area is in contact with external elements. A thermal break is added when the system is used with double glazing to reduce the effects of cold bridging and to ensure compliance with current building regulations. 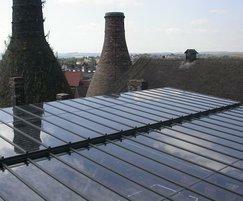 Skyline Box patent glazing system was used on the gently curving roof of Silcoates School in Wakefield. 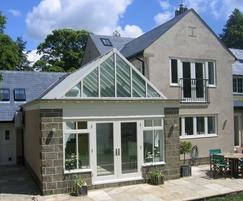 The in-line glazing system incorporates low-profile aluminium opening vents. 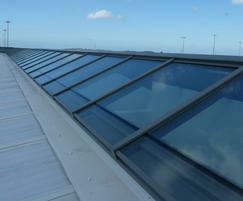 A Skyline Box patent glazing system was installed at Horsforth Library in Leeds. 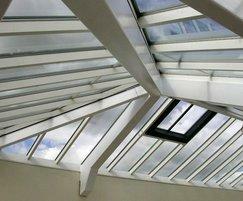 Standard Patent Glazing's self-supporting skylights and lanterns are suitable for commercial and domestic applications. 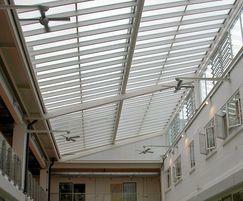 They can be formed into several different patent glazing bars to suit clients' needs.